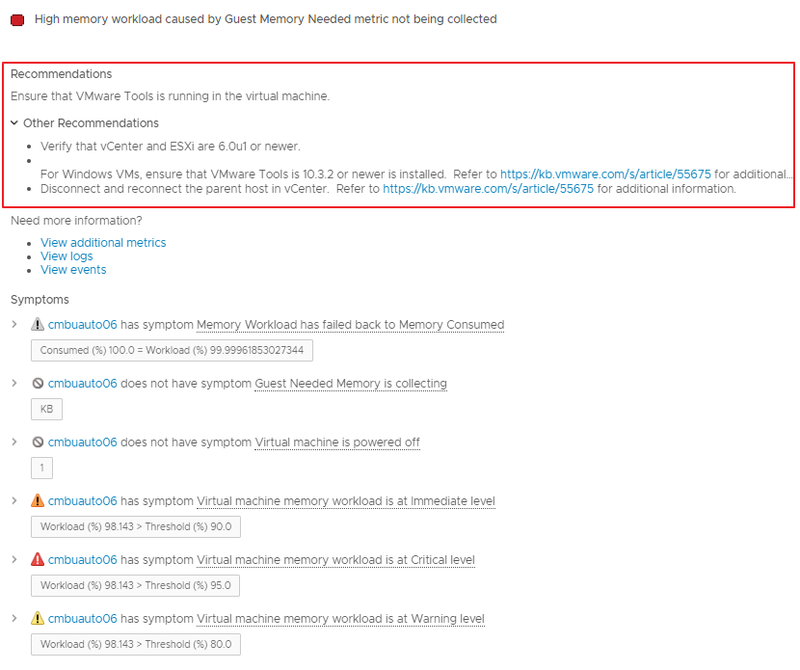 Use this dashboard and alerts to identify VMs with Guest Needed Memory not collecting in vRealize Operations, as mentioned in KB 55675. 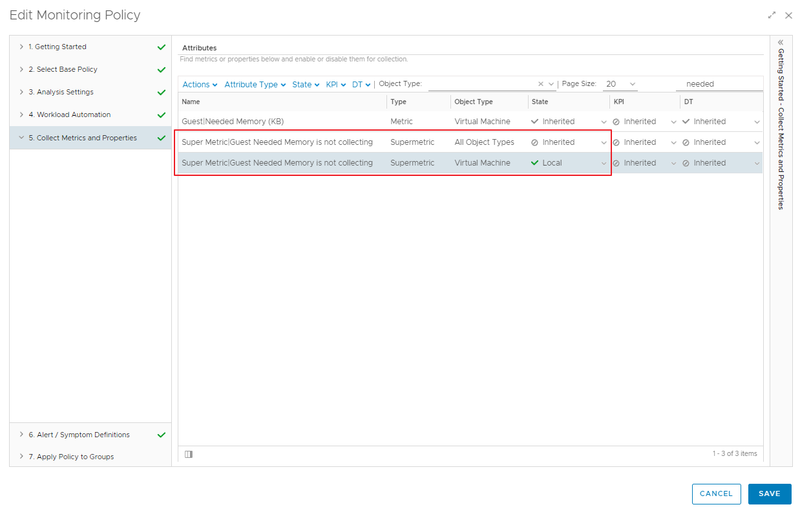 Affected VMs may show higher Memory Workload, lower Capacity Remaining and lower Time Remaining than expected. It's recommended to address the issues affecting collection to ensure the capacity engine has the most accurate data from VMware Tools. Edit the Policy at Administration / Policies / Policy Library. 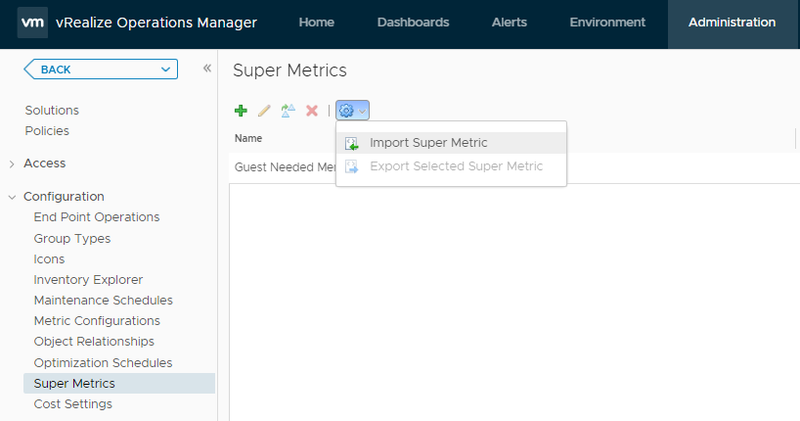 The policy should be vSphere Solution's Default Policy (DATE) unless a new policy was explicitly created. 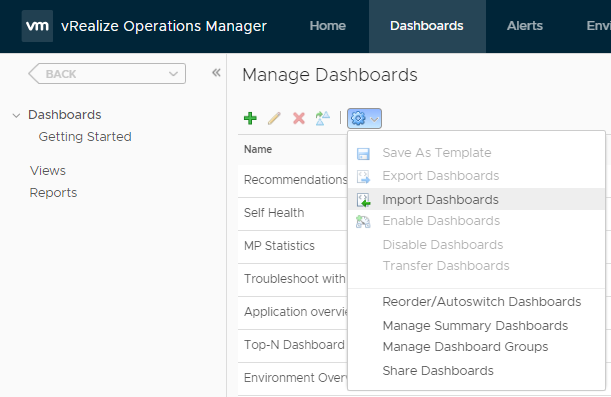 This dashboard requires vRealize Operation 6.7.x (or newer) Advanced or Enterprise edition. Please open an issue for feedback.